Hi friends! There's a special challenge going on at the Time Out blog. October is Breast Cancer Awareness Month, and we are celebrating that for this challenge. 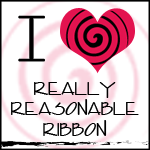 The theme is breast cancer awareness and or/friendship. 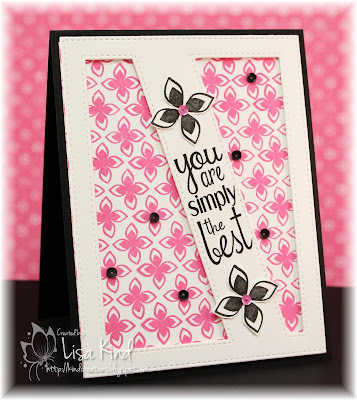 There's an optional twist to use embossing and/or pink. 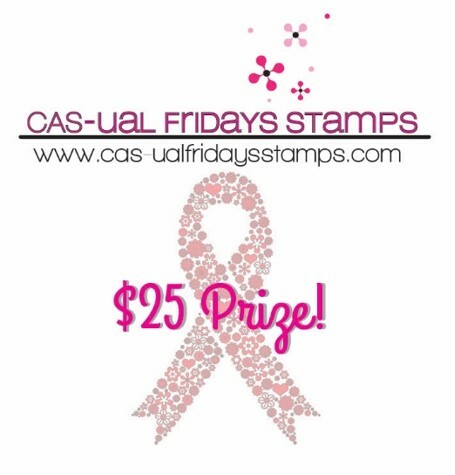 CAS-ual Fridays is sponsoring us for this challenge. 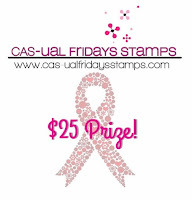 CAS-ual Fridays graciously offered the Time Out design team stamps to use for this challenge. I chose this great set called Wallflower. I used it to create my bright pink ink. I layered the stitched die on top of that panel with dimensional tape. The sentiment is from the same set as are the black flowers. I fussy cut them and added pink sequins to the centers. I added some contrast with black sequins. This was all adhered to a black base. This card is going to my husband's cousin Patti. She is a breast cancer survivor, and just this past Saturday she organized her twelfth golf tournament with the proceeds going to breast cancer research. I participated in the tournament last year and this year and wanted to thank her for all her work organizing this fun event. 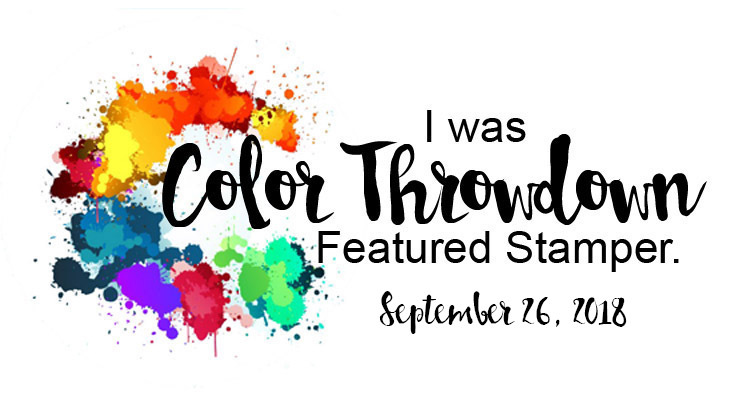 There's lots of information about prizes for this challenge, so make sure you stop by the Time Out blog and check it out. While you're there, also check out the cards from the Time Out design team and our guest Conil. Hi there! 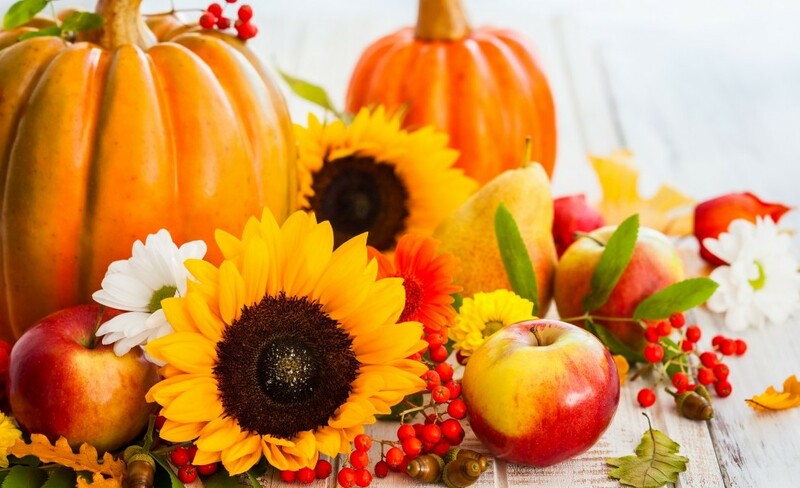 Can you believe summer is over and it's fall already? I love fall, but hate to see summer go. Just Us Girls is celebrating fall with this beautiful photo. Lots to be inspired by! Here's a close up of the photo. I wasn't sure what I was going to create, then I found this new die I purchased at a stamp show in August. I bought it because I love pumpkins and thought it was so different. I die cut it from white cardstock then sponged orange and green inks on it with sponge daubers. The panel I mounted it on was sponged with blue inks. 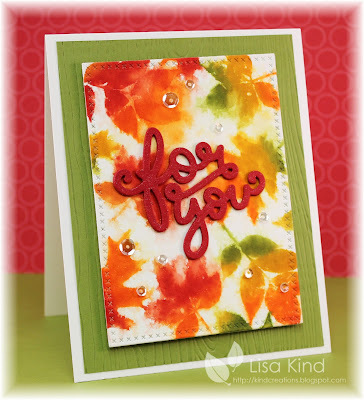 I added the sequins and the perfect sentiment for a fall birthday. 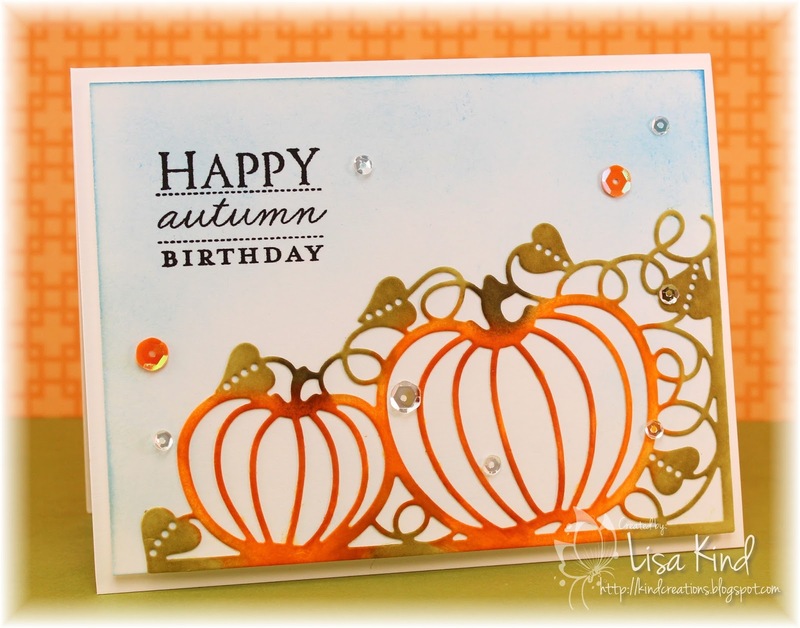 You can see more from the JUGs design team and our September guest on the JUGs blog. Hi everyone! 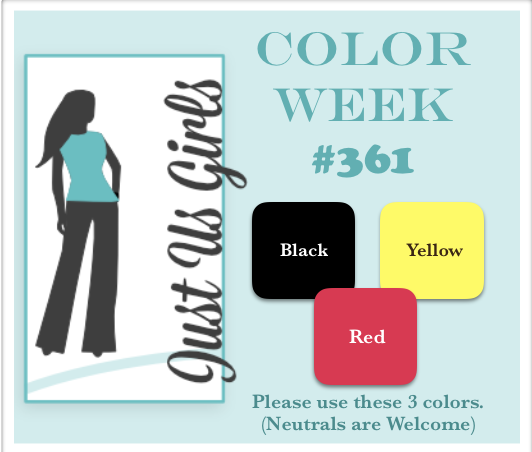 Just Us Girls has a great color combination for the Color Week challenge. I wanted to do something cute with these colors. I love these little monsters! 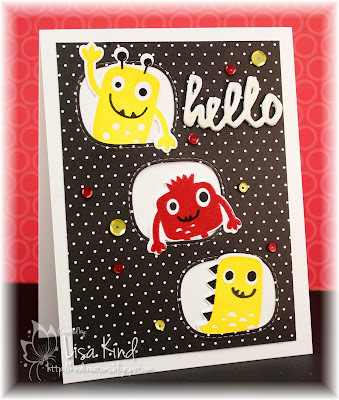 I stamped them with yellow and red inks and added their faces with black ink. Then I die cut the windows and set them inside. The sentiment was die cut four times and stacked. I put some shimmer on it and glossy accents. Sequins finished it off. 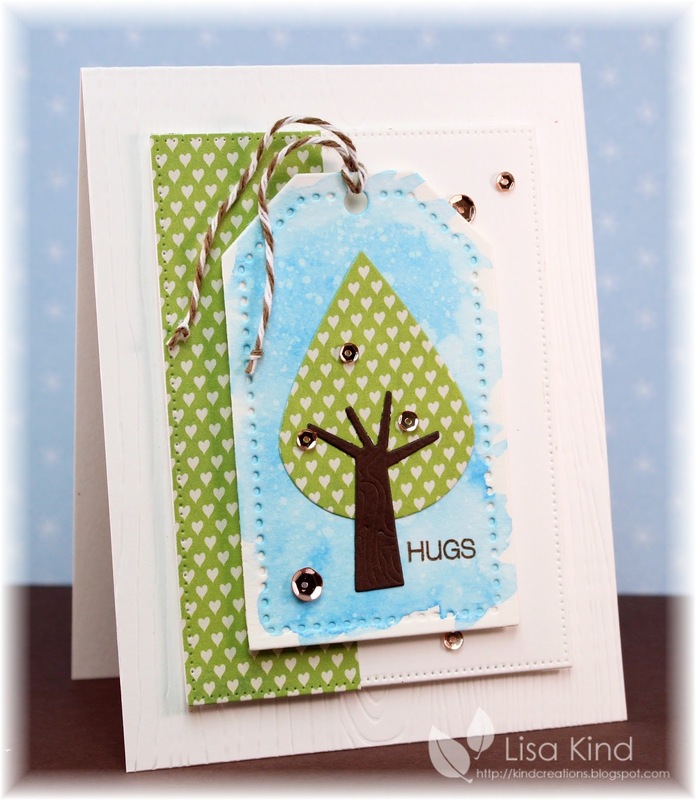 You can see more inspiration from the JUGs DT and our guest on the JUGs blog. Hello friends! 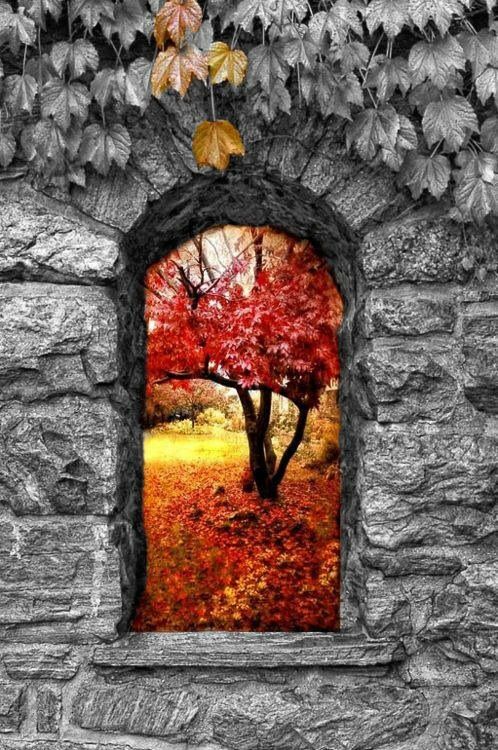 Over at the Time Out blog, we have a lovely photo to inspire you for our Home Sweet Home challenge. 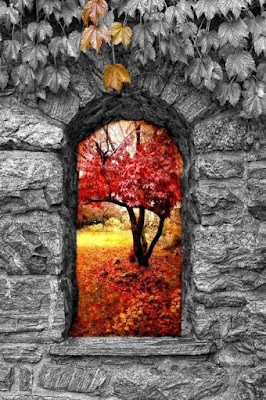 I was so inspired by the colors of the leaves. I stamped them in a Kaleidacolor stamp pad onto watercolor paper then spritzed it with water. I die cut the panel then adhered fun foam to it. The olive panel was run through a woodgrain impression plate. I die cut the sentiment three times for dimension and added some Spectrum Noir crystal clear to it for that shimmer I like so much. And the sequins give it even more shimmer! This challenge is sponsored by STAMPlorations. The winner of this challenge will get a $10 gift voucher. In addition, there will be two random draws. One will receive the Holiday Expressions: Thankful stamp set and one will receive the new Trendy Leaves 2 stamp set. 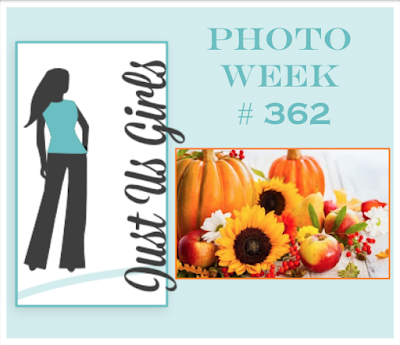 You can read more about this challenge and see more inspiration on the Time Out blog. Hi all! This is going to be quick. I'm the hostess at Just Us Girls this week for our Trend Week. 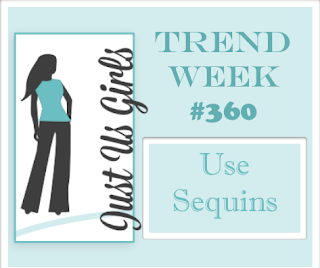 I chose sequins, because I just love using them! It's been a long, hot week back to school. The last four days were so hot and humid, and our school does not have air conditioning! Can't wait for cooler weather next week! I did a quick shaker card with this new Memory Box die I got at a stamp show a couple of weeks ago. I sponged the background with a distress ink the created the shaker. The die was cut from white and kraft cardstock. I cut out the deer and adhered it over the white one. 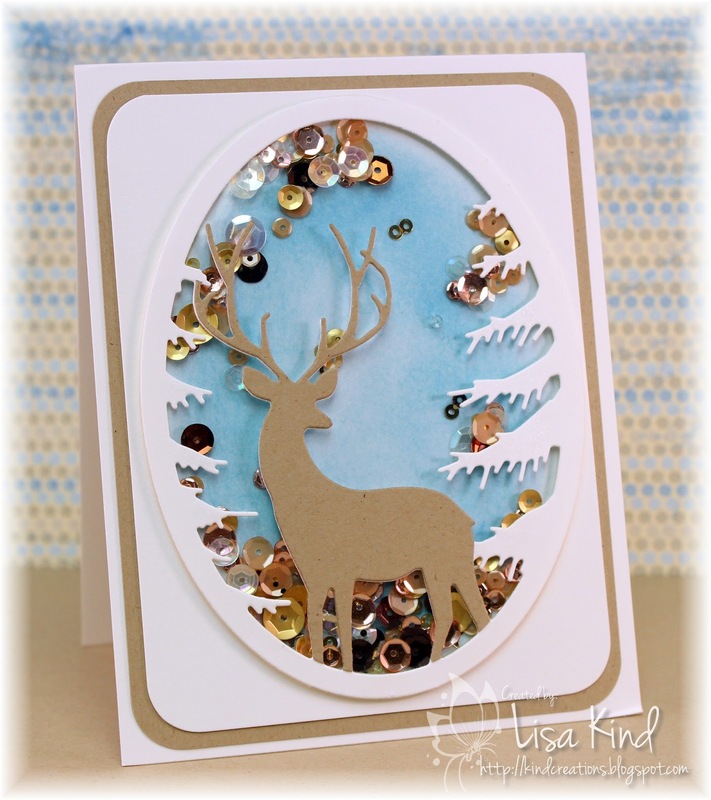 Very simple card with some pretty sequins. Stop by the JUGs blog to see more sequin inspiration! I used a few words from the quote as my inspiration. Love, trees, encourage. I obviously used a tree on my card. For the word love, I chose pattern paper with hearts on it, and for encourage I chose the sentiment hugs. The tag was cut from watercolor paper and watercolored with some blue distress ink. I also splattered it with more water to get some water droplets. Then I added the die cut tree, twine, and sequins. The next panel was die cut with a pierced rectangle die as was the pattern paper. Finally, the base layer was run through a woodgrain impression plate (hard to see in the photo). The tag and smaller panel are on fun foam. Cas-ual Fridays is sponsoring this challenge (my sentiment is from one of their sets). 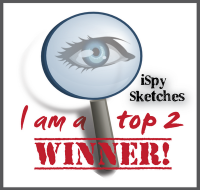 They are giving a $25 gift voucher to this week's winner. 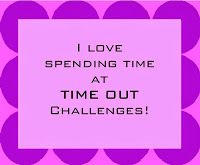 You can see more from our Time Out DT and our guest for this challenge, Rema, on the Time Out blog.